Chinese New Year is celebrated by more than 20% of the world’s population. It’s the most important holiday in China and to Chinese people all over the world. In China, you’ll hear it being called chunjie (春节), or the Spring Festival. It’s still very wintry, but the holiday marks the end of the coldest days. People welcome spring and what it brings along: planting and harvests, new beginnings and fresh starts. It is also a public holiday in countries such as Brunei, Indonesia, Malaysia, North Korea, Singapore, South Korea, and Vietnam. 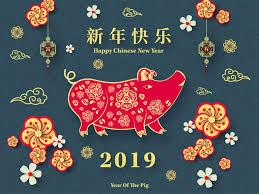 This year the Language and Culture Exchange team, in collaboration with LSS, MdxSU and students are delighted to announce the Chinese New Year Festival Celebration taking place in the Quad on Wednesday 23 January 2019. This is just a flavour, the event is filled with many other exciting activities! We are proud that many Chinese students from Middlesex are contributing to the event through planning and delivery, with many volunteering on the day. See you there! Next Celebrate Chinese New Year at MDX!